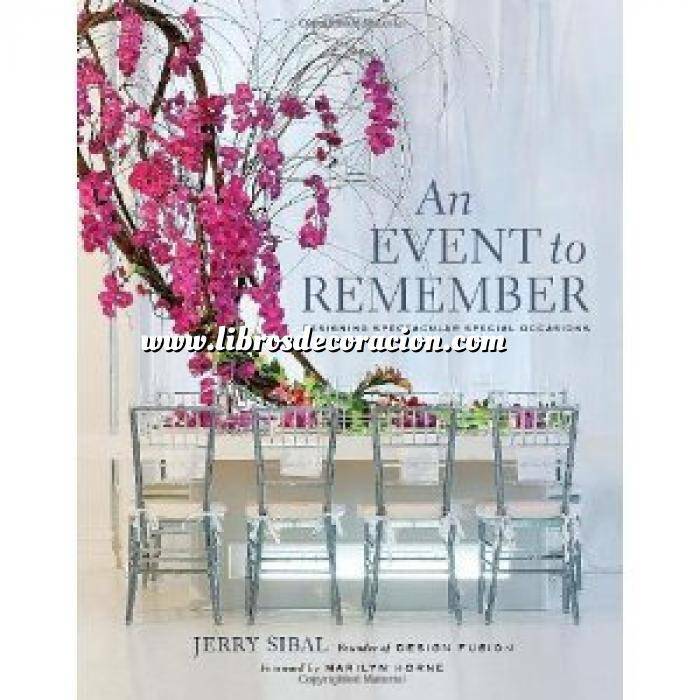 Jerry Sibal is no mere party planner. He’s a world-renowned designer of unforgettable celebrations of every description. Each of Sibal’s projects—whether for a private birthday party or holiday dinner, a lavish wedding or bar/bat mitzvah, a corporate retreat or charity ball—is a distinctive work of art. An Event to Remember presents a portfolio of some of Sibal’s finest and most visionary work—with dramatic photographs that will make you wish you’d been there. Throughout, Sibal reveals how he coordinates architecture, lighting and audiovisual systems, interior decor, tabletop arrangements, and his trademark floral extravaganzas to create such gloriously spellbinding environments. Venues from all over the country are featured, from New York City’s Rainbow Room, to Miami Beach’s Setai Hotel, to Atlantic City’s Borgata Casino, to outdoor settings such as the Brooklyn Botanic Garden and a California hillside with breathtaking Pacific Ocean views. Jerry Sibal is the founder of New York City–based Design Fusion. He earned a degree in architecture, taught traditional Chinese brush painting, and worked for floral designer Preston Bailey before opening his own firm with partner Edwin Josue. Sibal’s work has been featured in Bride’s Magazine, Inside Weddings, and Daily Candy.